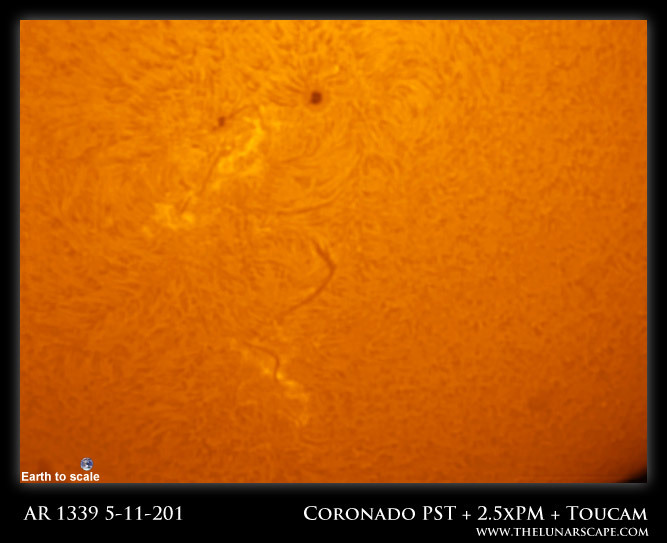 For the first time in years we have a sunspot group that is visible to the (shielded) naked eye. 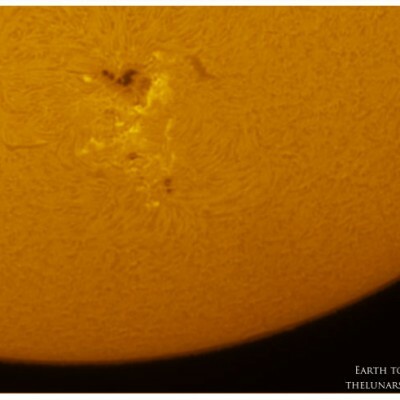 AR1339 is 3 times wider than the Earth and a whopping 10 times longer. See attached photo taken in Galway on Saturday afternoon. No aurora warnings as of yet but the NOAA are estimating a 70% chance of M Class solar flares and 10% of an X class event. Image after the break – note the size of the Earth in comparison to the group! 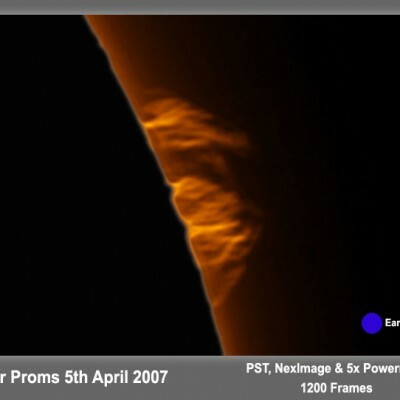 So what is a sunspot? 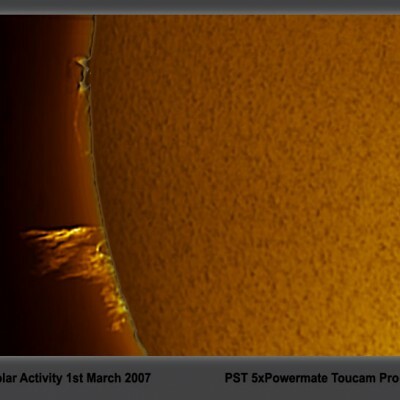 The Sun has an eleven year cycle of high and low Sunspot activity and we’re just entering a new period of high activity so expect to see more sunspots for the next few years – actually the last cycle was far longer than normal but that’s a different story, discussed elsehwere on this website.